Foothill's school site council is a committed group that helps make decisions to support school programs, materials and budget. It is comprised of teachers, parents, students and administrators. The council meets once a month. The school site council is an advisory committee to the school. It is the duty of this committee to oversee and manage the school-based coordinated programs (supported by state funds) and the School Improvement Plan (SIP). The council sets goals for improving student achievement and determines how some discretionary funds the school receives will be used to improve academic performance of all students. The council manages and allocates the SIP money that the district gets from the state. An annual plan is developed that outlines Foothill's intentions regarding those funds. The plan is approved by the school board and acts as our blueprint for the school year. Council members are appointed by the council or elected by the school's parents. Each council member has the power of one vote on the council. Terms last for one school year. Council members are volunteers; they are not paid for their work. All council meetings are open to the public. 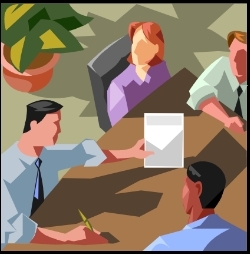 Meeting notices are posted at least 48 hours in advance of each monthly meeting. Election and/or application forms for the school site council are available each August at walk-thru registration. Please look below for the site council's bylaws.